Australia’s National Landscapes are a spectacular selection of nature’s finest work in Australia where the most breathtaking beaches, rainforests, and mountain ranges can be explored. One of 16 Australia’s National Landscapes is Australia’s Green Cauldron, incorporating the picturesque region surrounding the Tweed Coast. Nominated by Tourism Australia, Australia’s Green Cauldron offers all the best of Australia in one charming region. On the eastern side of Australia’s Green Cauldron is the Tweed Coast, a popular holiday destination offering a number of beautiful beaches as well as nature reserves and lakes – all surrounded by picturesque hinterland. Start venturing into the centre of Australia’s Green Cauldron and you’ll find lush World Heritage rainforests, far-reaching green fields, and looming mountain ranges that are perfect to gaze upon on an afternoon drive. One of the must-visit locations in Australia’s Green Cauldron is Mount Warning, a striking mountain formed from the remnant of an ancient shield volcano which erupted around 23-million years ago. Now residing in a World Heritage-listed Gondwana rainforest, Mount Warning is a popular hiking and bushwalking site, offering fantastic tours where travellers and tourists come to explore and witness some of the most breathtaking views in New South Wales. 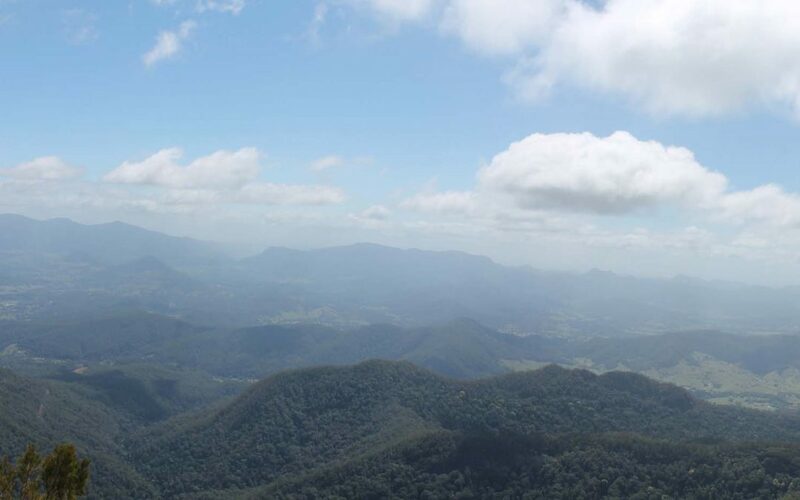 The area around Mount Warning offers a thrilling adventure as well as plenty to see and explore. A plethora of tours are available and include everything from kayaking the Tweed River to adrenaline-pumping 4WD off-road excursions. You’ll also find hundreds of picturesque spots to fish, paddle board, bike, bush-walk or simply settle down with a picnic. Australia’s Green Cauldron is a must for those travelling to the Tweed Coast, offering an unforgettable adventure that all ages and backgrounds can enjoy. Don’t miss the opportunity to explore one of Australia’s National Landscapes this 2018.